Robert Rummel-Hudson has been writing online since 1995. During that time, his work has been recognized by the Diarist Awards at diarist.net, including citations for Best Writing (1999), Best Overall Journal (2000), Best Account of a Public or News Event (2001, on the execution of Timothy McVeigh), Best Dramatic Entry (2002), and the Legacy Hall of Fame Award (2004). He has served as a featured panelist at JournalCon, an annual conference for online writers, in 2001, 2003 and 2004. 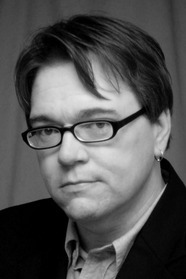 His online writing has been featured in articles in the Austin Chronicle, the Irish Times and the New Haven Register. Robert and his family live in Plano, Texas. A book trailer for Robert Rummel-Hudson's Schuyler's Monster, an account of raising his daughter with bilateral perisylvian polymicrogyria.